"To be used by culinary entrepreneurs, caterers, and budding chefs," says John Grindley, "we are taking the restaurant kitchen in the new CoHab site and re-imagining it as a community resource." Grindley is spearheading a Kickstarter campaign to "make Shreveport-Bossier's first community kitchen come alive." Much Ado Joss Whedon Poster Contest, a photo by ericdenmanscreensaver on Flickr. After raising more than $140,000 through a yearlong fundraising campaign, the Robinson Film Center (RFC) , says Alex Kent, will unveil its new digital projection system. See it on August 2, 2013. Donors include the Grayson Foundation, Carolyn W. and Charles T. Beaird Family Foundation, City of Shreveport, Eldorado Resort Casino, Downtown Development Authority, I.A.T.S.E. Local 478, The Powers Foundation, and individual contributors. RFC began a campaign to upgrade from 35mm to digital cinema after the film industry announced it would phase out 35mm prints at the end of 2013 in favor of a new high-resolution digital format called DCP. 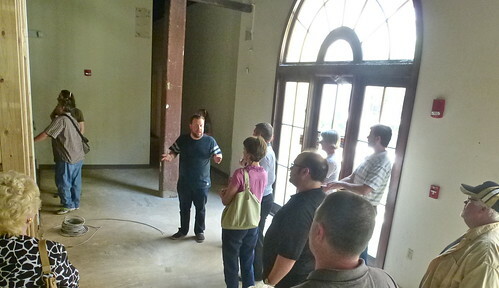 RFC opened its downtown doors in May 2008, renovating a vacant downtown building into a two-screen movie theater and education nonprofit. It serves more than 60,000 people annually through a mix of daily films, educational programs and special events. 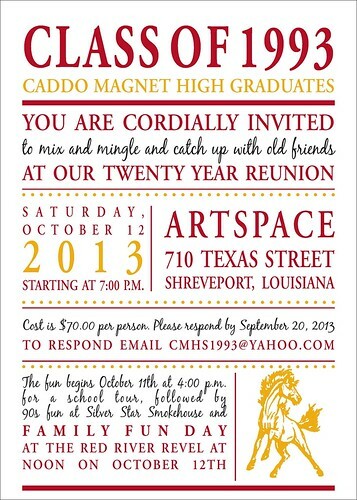 Caddo Magnet HS '93 Reunion, a photo by trudeau on Flickr. From around January 1949 to December 1951, the Wilburn Family called Shreveport home. During this time, fans could tune in to their morning radio show (first employed by KTBS, then KWKH) and catch their performances around town (many of which were Louisiana Hayride shows). 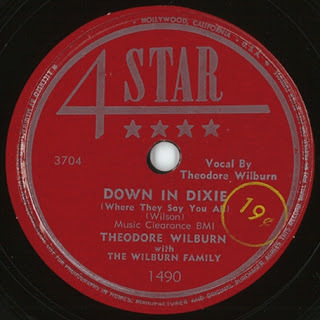 Based on show advertisements, song writing credits, and photographs, the group regularly worked with other local country musicians such as Zeke Clements, Webb Pierce, Hank Williams, and Faron Young. 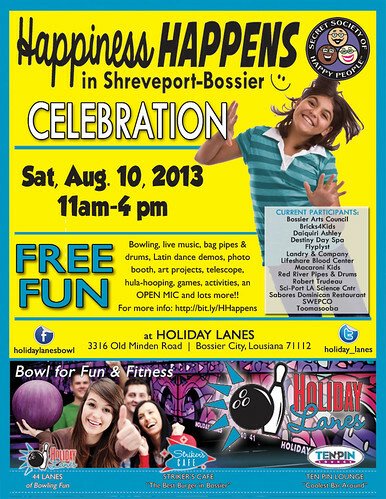 Happiness Happens event Sat, Aug 10, a photo by trudeau on Flickr. The irrepressible Robin Rials Williams is the copacetic ball of energy behind this smiling event. There's room for more cheerful givers. If you dance or hoop or sing or perform in some way, tell Robin. She may well want you to be part of Happiness Happens. Message her on Facebook with your offer of a contribution. Meadows Triennial, a photo by trudeau on Flickr. 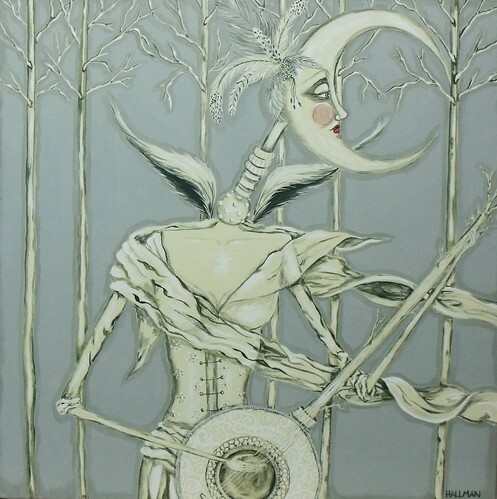 Juror for the NW Louisiana Triennial Competition 2013 is Jolene Mechanic, director of the Flood Gallery Fine Arts Center, Asheville, NC, says Diane DuFilho. Enter the Triennial by submitting of up to 5 pieces of art on a CD-rom. It must be delivered to Meadows Museum, 2911 Centenary Blvd, 71104, by Sat, July 27. Museum hours on Sat are 1 to 4 pm. 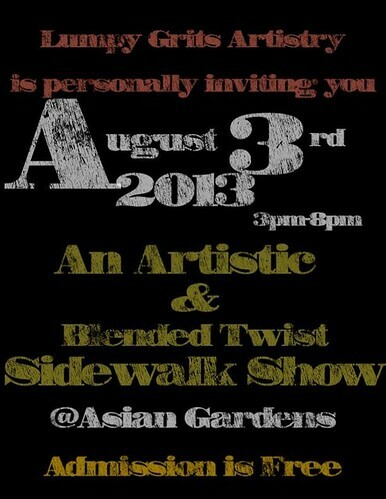 There is a $15 entry fee for each artist. Works in all media are eligible. The exhibit will be on display Sun, Sept 8 to Sun, Dec 15. Artists will be notified of acceptance Mon, Aug 12. The 2013 Triennial is dedicated to the memory of Carolyn Querbes Nelson, 1952 - 2013. The regional juried Triennial Competition is open to all artists who live and actively produce art in the following North Louisiana parishes: Bienville, Bossier, Caddo, Caldwell, Catahoula, Claiborne, Concordia, DeSoto, East Carroll, Franklin, Grant, Jackson, LaSalle, Lincoln, Madison, Morehouse, Natchitoches, Ouachita, Rapides, Red River, Richland, Sabine, Tensas, Union, Webster, West Carroll and Winn, says DuFilho. SRAC artist retreat July 27, a photo by trudeau on Flickr. Measuring the community's strengths and ambitions is part of what the SRAC artist retreat is about. Mainly, it's to make clear what SRAC will be offering artists in the unfolding of the extended series of events called UnScene. If you are not part of the SRAC extended family but are a practicing artist - musician, choreographer, videographer, poet, mash-up media maven - you are invited, too. UnScene will surely become a raging success if every arts worker in the region jumps in. Brooklyn White @ Naked Bean Fri, July 19, a photo by trudeau on Flickr. A devilish sense of humor, of literary allusion and sangfroid make Brooklyn White a watchable teen talent. As a student at Caddo Magnet High she made several videos with classmates and cut released several CD's. Now she's college-bound and needs a bit of round currency to make that transition. 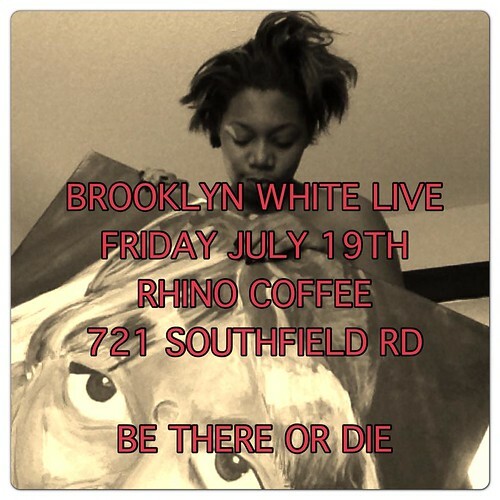 Thus she will throw it down at Rhino Coffee. Brooklyn is a thorough-going entertainer but much of what she drops on you is throw-away wickedness - so look sharp. Highly recommended, partly because of her dishy friends; eavesdropping on her audience may be part of the entertainment. Daniel Mark Cassity landscape, a photo by trudeau on Flickr. Landscapes by Daniel Mark Cassity are "a celebration of sunlight upon the land: something I anticipate revisiting throughout my life. With few exceptions, they are begun and executed in the field - en plein air - with final touches added in the studio." 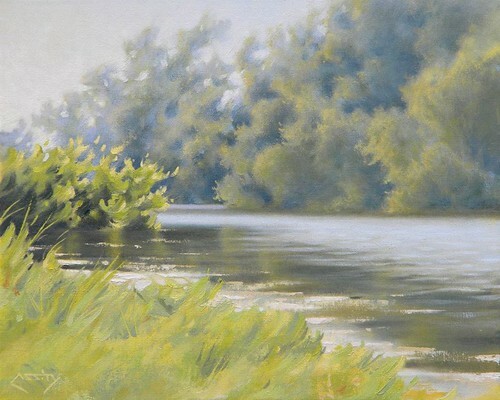 Cassity's landscape work is opening at Gallery Fine Art Center, Bossier City, with a reception on Sat, July 20, 3 pm. He shares the exhibit with painter Marlen Waters. "On occasion the paintings are produced Alla Prima (in one session), however they are more typically done in three or so sessions. Light, color, and textures are emphasized by means of loose expressive brushstrokes, knife work, and impasto techniques." "As always, it is my intention to invite subconscious flow, to follow my instincts, and convey that which is my vision: in this case, to describe the effects of light upon nature," adds Cassity. The painter is the recipient of a stream of honors recently, including being named "a member of the International Guild of Realism: a group of around 300 members in 35 countries worldwide." And being recognized by Southwest Art magazine in their “Artist to Watch” feature in the August 2013 issue. 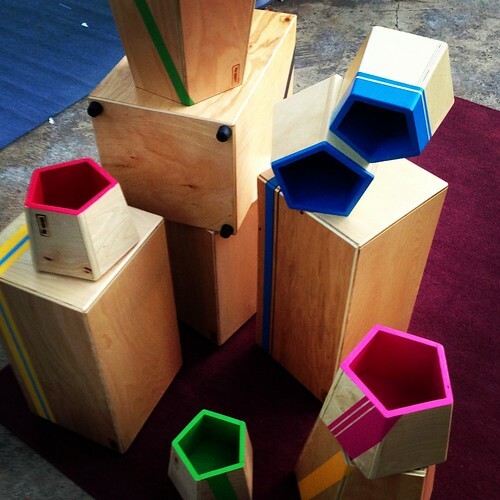 Look for Cassity's work in American Still Lifes: a traveling museum exhibition which will be traveling in 2014. Interestingly, one of the stops is at RW Norton Art Gallery. Windstorm @ Port City Classic, a photo by mp3mixrMD on Flickr. Opened by Kimberly Rusley and Melvin “Jabber Jaws” Williams, the Jazz in the Park concert will see performances from 2 to 7 pm, says Frederick Lewis. The site is Chris Hays Park, 4300 Illinois St, behind the Mooretown Library. bring a few bucks to support the vendors. Also bring blankets, chairs and umbrellas. No coolers, or outside food or drink allowed. 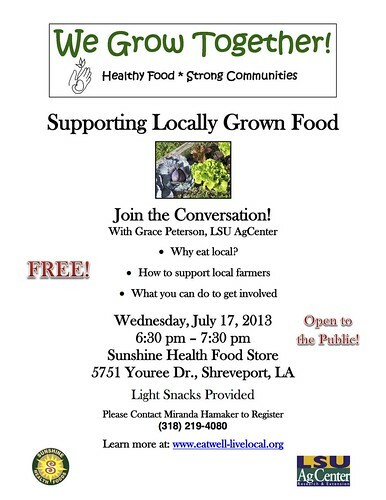 For more information, call 318.673.7814. Paula Hallman @ Stir Tapas, a photo by trudeau on Flickr. 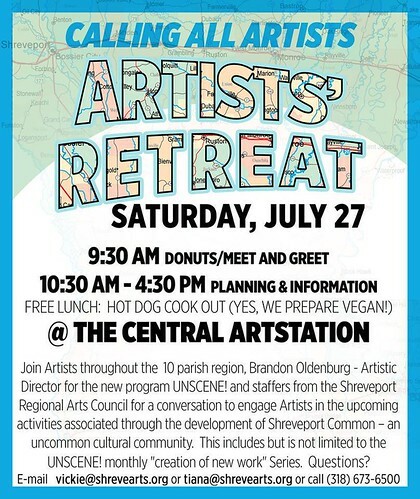 "I currently live in Shreveport, where my artwork has been exhibited at The Barnwell Center, Artspace, and Columbia Cafe. In 2011, my paintings and one-of-a-kind dolls won the Best in Show Grand Prize at the Red River Revel," says Hallman on her Etsy page. See more at her FB page. Says Michael Chisum, "Remember, at Stir Tapas we are open late - so this party is starts at 7pm but continues all night. Drop by all night long! Remind me to remind Paula Lehnig Hallman to get a nap in! Especially with all the new work she has been creating." Eat local people, a photo by trudeau on Flickr. Rebirth Brass Band, a photo by gamelaner on Flickr. 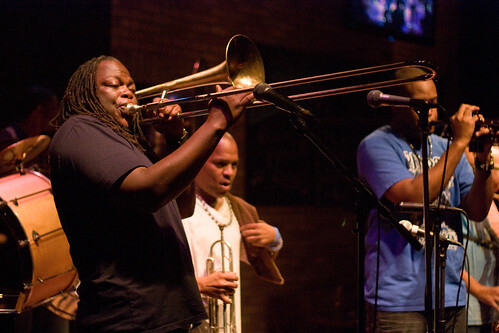 New Orleans munk ferchants the Rebirth Brass Band will hit downtown Fri, July 12, at 10 pm, says Chase Boytim. Outside of Fatty's under the Red River Bridge - parking in the casino garage - a sweaty bunch of jive-jumping fools - all ages - will gather to celebrate a free show by the award-winning roots group. 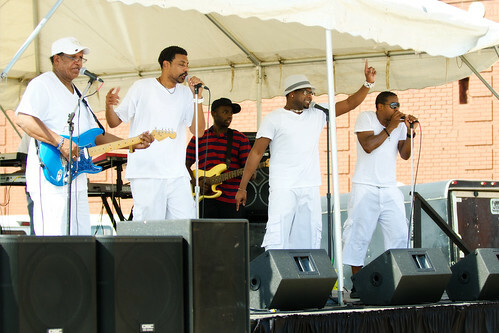 Remember the year that the Highland Jazz and Blues Fest featured the Rebirth? It was catalystolic. Afterwards, we recommend the Dirtfoot show at Voodoo Cafe. Dirtfoot is pushing back the time of their performance at Voodoo, Commerce St, so as to accomodate those attending the Rebirth Brass show, says J Bratlie. Bill Joyce, Shreveport, a photo by trudeau on Flickr. "Hear the story of Bill Joyce's epic journey from author and illustrator of The Leaf Men and the Brave Good Bugs to the movie Epic. Taste chocolate-covered crickets and Leaf Men-inspired lettuce wraps, sip leafy libations at the cash bar and dance to the tunes of Engine! This Epic evening is $10 per person," says Megan Porter. Mr. Joyce will be signing books - which are available for sale in giftspace @ artspace. 2420 Pinehurst, Highland, Shreveport, a photo by trudeau on Flickr. On Sunday, July 15, from 1 pm - 4 pm, 11 great Highland homes will be holding open houses. 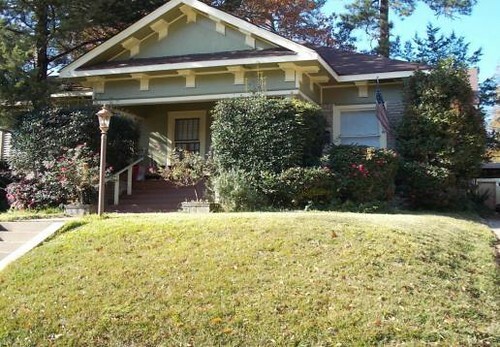 Come take a look at the architecture and charm that Highland has to offer, says Robin Ramsey. All homes are listed for sale and hosted by the individual Realtors® and their owners. Each home will provide personalized tours, details on refurbishments, refreshments and information on purchasing the homes. Representatives from the Highland Restoration Association will be on hand to inform tourists of the benefits of living in a Historic District and to promote the Highland neighborhood. The first home on the tour, 2420 Pinehurst, will be the staging and meeting place for the event. Contact Robin Ramsey, Realtor ® at 318-573-1916 for more information. 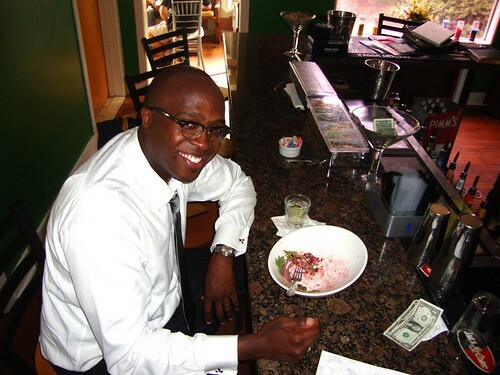 "We are back at 2Johns Restaurant tonight, Wed, July 10, 5 to 10 pm; and it is ladies night," says Christopher Allen. 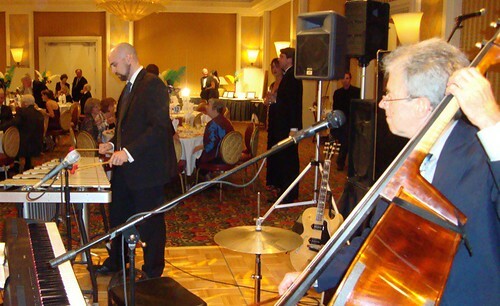 "I'll be spinnin that bass in the bar with the very talented Winston Hall on the baby grand." Reservations recommended, 841-5646 — at 2Johns Steak and Seafood, Bossier City. Lumpy Grits art show Aug 3, a photo by trudeau on Flickr. The next generation of downtown, mixed media artists is arriving. Cherie G, Jori Jackson and a growing group of performers under the collective name of Lumpy Grits are putting on their second show in downtown Shreveport. Lumpy Grits troupe does it all: cuisine, visual arts, music, dance and poetry. Asian Gardens is the near the corner of Line / Common and Milam and Texas Ave; it's adjacent to the Municipal Auditorium. Lots of secure parking. Lumpy Grits free show, 3 pm to 8 pm on Sat, Aug 3. _MG_2862, a photo by mdb2 on Flickr. Hip Hop Cowboys, the premier rodeo event mixing urban music with cowboy culture, rides into Shreveport’s Hirsch Memorial Coliseum on Saturday, July 27 for its first-ever Summer Rodeo. This event combines the sport of rodeo with hip hop, rap, blues, zydeco and house music, and will feature R&B legend and Louisiana native T.K. Soul, as well as dozens of top rodeo competitors from across the country. www.hiphopcowboys.com, 1-877-987-6487. Group tickets are available by calling 972-839-2802. Brabham's Bucket List @ Tiki; photo MC Rollo, a photo by trudeau on Flickr. "Easy does it," reminds a smiling Russ Brabham. 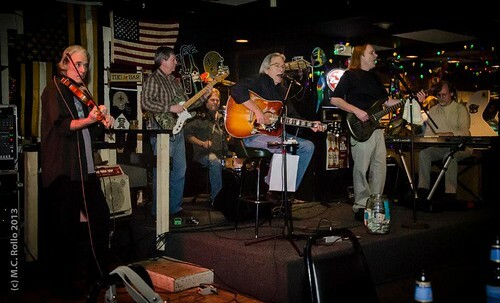 Rock, country and all they hybrid forms between them are easy when the sidemen are Tim Brogan, Michael D. Long, Kerry Hunter, Greg Williams and Bill Unverzagt. Thursdays at Tiki Lounge and Boat Dock. And early! Like, 6 pm. Christopher Allen, Luke Brouillette @ Barnwell Jazz, Shreveport, a photo by trudeau on Flickr. Louisiana State Exhibit Museum will host a Summer Jazz Camp from July 15 - 20 in Shreveport, says Christopher Allen. - one week learning lab for talented Middle and High School age music students. - intermediate to advanced playing experience. - focus on small to medium jazz combos/groups. - taught by professional musicians/educators. - day-long immersions in all aspects of Jazz. - one-on-one training on individual instruments, music theory, harmony and phrasing, rhythm technique, listening and ear training, reading a chord chart, and various levels and styles of improvisation. - Summer Jazz Cat’s Concert: 3 pm, Fri, July 19. - Faculty concert: 6 pm, Sat, July 20. - Tuition: $150. Some partial need-based financial scholarships will be available. Info: Louisiana State Exhibit Museum – (318) 632-2020. Daniel Cassity, Marlen Waters, East Bank Gallery, Bossier City, a photo by trudeau on Flickr. Exceptional technical facility matched by vibe and insight: paintings by Daniel Mark Cassity. 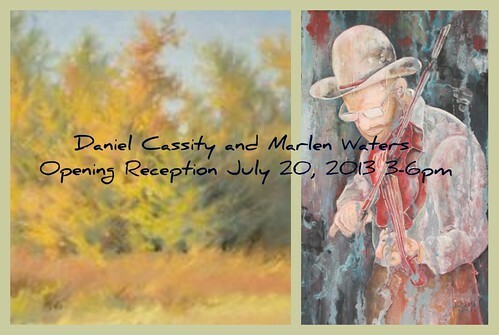 Daniel Cassity and Marlen Waters at East Bank Gallery, Bossier City. Curtis Joseph @ Stir Tapas, Shreveport, a photo by trudeau on Flickr. "Sat, July 6, we are celebrating One Year of Stir Tapas," says Chase Boytim. "Come see us ... We will have Landon Miller, Mus Gillam, Michael Stephens, Jeremy Hayes and many more playing their tunes." Red River near Belcher, Louisiana, looking south, a photo by trudeau on Flickr. "The fourth of July weekend is especially hard on our local sandbars and waterways - and all of it the refuse is on its way to the Bay. 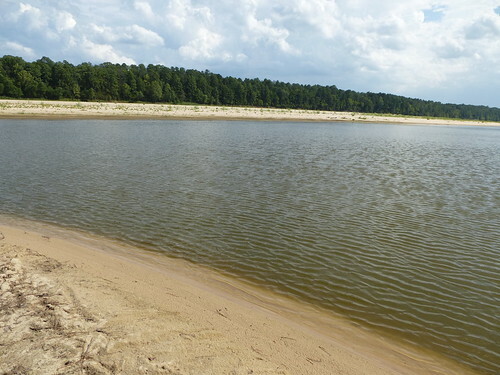 Join others this Sun, July 7, from 8 - 11 am at Hamel's Beach off Clyde Fant Parkway (just north of the Jimmie Davis Bridge) for a clean-up," says Jon Soul. Bring water, snack, sunscreen, water shoes*, gloves, PFD**, and boat (or try someone else's!). Park at the parking lot and follow tire trail down to beach access trail. Boats can be dropped off before parking. All participants will receive a free, very cool Euro-style B2B decal for being a Louisiana Watershed Protector. Maker's Fair: William Ross & daughters, a photo by trudeau on Flickr. "We are proud to announce Bill Ross has begun Aikido sessions on 2nd floor of the Naked Bean building, 451 King's Hwy, adjacent to the Chevron on Highland Ave."
Visit www.ShreveportMartialArts.com or call 318-455-8609. Classes are free to veterans. This Is Renzi film, Shreveport, a photo used by trudeau on Flickr. This is Renzi will appear on August 15, 2013, at the annual Lights, Camera, Help Film Festival in Austin, Texas, says Michele Carter. It is among 18 films that were “hand-selected for their ability to bring about positive change in the world.” The films will be screened before festival audiences over a three-day period. Renzi student photo by Michele Carter. 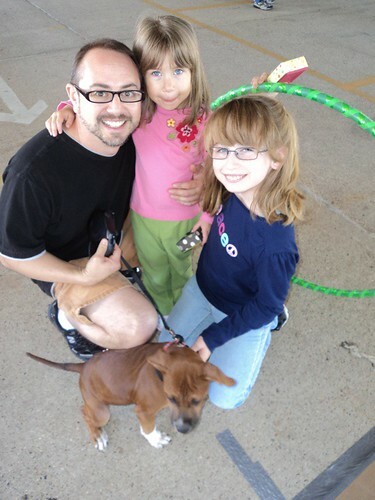 This is Renzi is about the kids and teachers of the Renzi Arts & Education Center in Shreveport’s Highland neighborhood. The after-school program serves at-risk youth in the community. The 12-minute film depicts children learning a variety of skills including cooking with a microwave, writing and performing their own poetry, learning to read with the help of comic books and participating in yoga lessons. The documentary is available to view at BeyondMeasureMedia.com. Beyond Measure Media is a Shreveport-based video production company specializing in capturing the stories of businesses and nonprofits. Russell Wingfield benefit music, a photo by trudeau on Flickr. 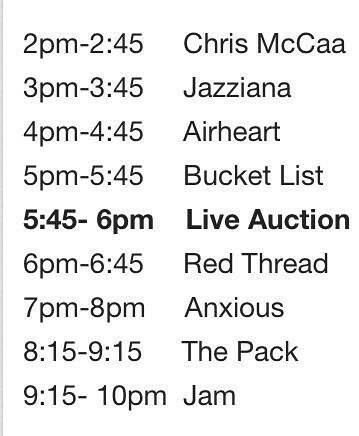 "Join us Sunday 2 pm - 10 pm for some great bands! Great auction items! 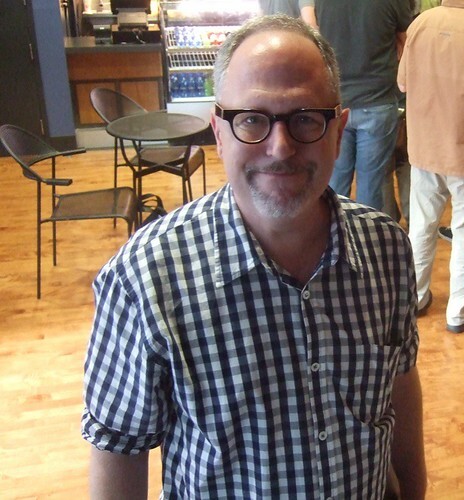 And fellowship with the folks that make the shows happen behind the scenes, behind the knobs, Behind the ropes and risers," says Greg Miles. "And to honor the life of one of our own, the night will end with what we are calling the Russel Wingfield Jam, please come be a part of this big night for a true friend of the craft." 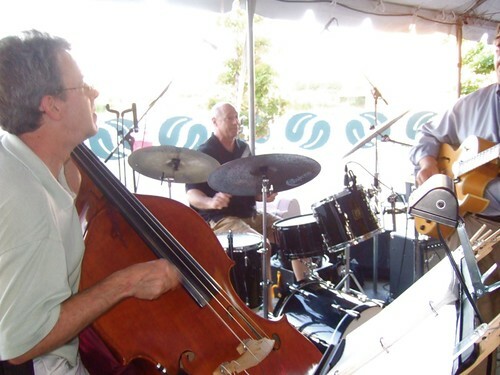 Russell Wingfield, former Shreveport Symphony Orchestra performer - on bass - and long-time president and business agent for the Stagehands Local 298, has been fighting cancer for months. Currently in hospice care, his friends have organized the concert to defray some of his medical expenses. ACR_PaperCuts20130514-6213, a photo by Chronicle Promotions on Flickr. 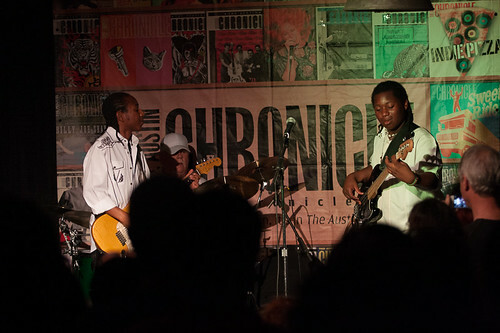 The Peterson Brothers were born and raised deep in the "Lost Pines" of Bastrop, Texas: Alex, 14, on bass, violin and vocals, and Glenn Jr.,16, on guitar and lead vocals. Their music combines the classic blues sounds of legends with their own unique blend of soul-infused inspiration, says their web site. They are hot and regular performers in Austin - the Continental Club, Stubb's, etc - and are hitting Shreveport on their way home from the BB King Homecoming Blues Fest in Mississippi. River City Rep, a photo by trudeau on Flickr. Edward Albee’s classic drama Who’s Afraid of Virginia Woolf? celebrates its 50th anniversary and is directed by Robert Buseick on his 80th birthday, says Patric McWilliams. Albee’s cynical couple, George and Martha, spend a night filled with dangerous games, truths and cruel realities. The play stunned NYC in 1962. It continues to provoke and shock audiences. The show stars Patric McWilliams, Susan Kirton, Logan Sledge and Ellen Lindsay. River City Rep is the area’s only professional theatre company. July 3-5-6 at 7:30 p.m.
July 7 at 3:00 p.m.
318-868-5888, Mon-Sat, 10 a.m. to 4 p.m.
Expect it to run about 3 hours; there are two brief intermissions. Index Drums, mfg @ Shreveport, a photo by trudeau on Flickr. "Has your djembe been collecting dust? Have you been thinking of getting into percussion, but you're unsure where to start? We'll have local musicians playing their tunes and covers for us to jam along with. All types of percussion are welcome, or you can play anything that Index Drum makes," says Landon Miller at Rhino Coffee. All ages, free admission, BYOB. And Rhino will have pizza and drinks available. "Everything we sell is handmade in our workshop in Louisiana," says Paul F King, proprietor of Index Drums. "The drums are built in small batches, and special care is taken to ensure that no two are exactly alike. Our drums have been played in live shows, house parties, church services, belly dance performances, and countless drum circles. They play well with traditional drums, and the variety of tones possible from each drum will not disappoint. Since the first run of cajons, we have been constantly experimenting with new forms of instruments, amplification, and manufacturing processes."